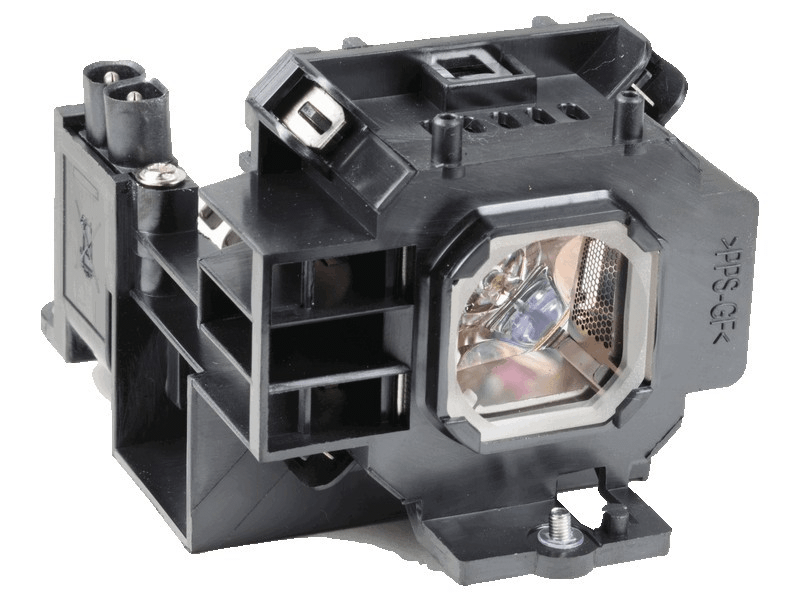 The NP510WS NEC projector lamp replacement comes with a genuine original 230 watt Ushio bulb inside. This lamp is rated at 3,500 lumens (brightness equal to the original NEC projector lamp). The NP510WS lamp has a rated life of 4,000 hours (5,000 hours in Eco mode). Our NEC replacement projector lamps are made with a high quality USHIO brand NSH bulb with main components made in Japan. Beware of cheaper lamps made with generic bulbs with lower quality and lower light output. NP510WS NEC Projector Lamp Replacement. Projector Lamp Assembly with High Quality Genuine Original Ushio Bulb Inside. Very pleased with our purchase. We ordered our projector lamp on a Tuesday and received it Wednesday morning in a box that was well packaged inside another box. Can't say enough about the quality lamps and excellent service we received.